What Is Social Media Sentiment Analysis and How Can We Use It? Customer satisfaction is one of the most important parts of any business. A company which can adapt to meet customer demands will increase overall retention and sales. Happy customers even advertise to their friends. It's often notoriously difficult to get customers to provide detailed feedback about their shopping experience. Even tactics such as tying contests to survey forms will usually have low conversion rates. A modern tool called social media sentiment analysis now makes it easy to find out what customers really think. Social media sentiment analysis can be best understood by considering normal conversations. For example, someone might be wearing a new pair of boots. Her friends might notice the change in attire and ask some questions about where she bought it. Or the friends might want to know about her general opinions on the shopping experience. Being able to listen in on that conversation would be of immense help to the companies involved in making or selling that boots. It's especially true when events like this scale up to hundreds or thousands of different conversations. In fact, the data is important enough to have a technical label. Voice of the customer, or VOC, is a vital resource for companies trying to maximize their sales potential. Of course until recently one could never hope to essentially be a fly on the wall during these types of conversations. But social media has changed the nature of conversation. When people talk to each other online it’s quite often within publicly accessible systems. The person from the previous example might have posted a picture of herself wearing the new boots onto Twitter or Facebook. Friends or even strangers who saw the picture might have questions about it or offer up opinions. All of this information relates to VOC. And the methods used to access that information come from social media sentiment analysis. One should always remember that machines can’t really understand human language. Higher quality AI can give the appearance of real understanding. But the heart of any conversation with a program is simple pattern matching. A computer looks for certain words and will then follow a chain of hard coded responses. The simplest form of social media sentiment analysis can illustrate this point. The previously mentioned customer might have a post talking about how much she loves the new boots she bought from store X. Sentiment analysis would notice the target keyword, store X. The program would then go through her post looking for positive and negative words that it recognized. Simple keyword recognition is the most basic form of language processing. But it’s still able to produce some impressive results. The simple metrics provided by keyword recognition can provide insight into the average customer experience. But it’s also useful as a starting point to further refine data on general VOC. Treating customers as a generalized entity can be useful for standard sales analysis. But most companies will find it far more useful if additional information about customer demographics is also present. This is another case where social media sentiment analysis will prove useful. The previous examples of someone talking about her new boots online had people responding to her posts and asking questions. Demographic information might show trends in various groups being more inclined to give one’s store a chance. It might also indicate areas where changing tone for particular cultures or subcultures could offer an advantage. One of the strong points of social networking systems is that they usually have profiles. The exact term might differ by platform. But most systems will have an area that shows a user’s country, age and other information related to their overall demographic. This would all be tedious for a human being to go through. But analytic software can easily incorporate all of that information within seconds. With a single click someone will be able to see how customers in various regions or age groups rate their experiences. Some products like Brandwatch Analytics will even show information about people's hobbies. So far the overview of social media sentiment analysis has focused on technical details. The power of sentiment analysis can be further demonstrated by looking at some practical examples. Most people are familiar with the ways in which an idea can travel around and then beyond social circles. A similar process happens with general voice of customer information as well. Social media sentiment analysis software can expand on standard analysis and actually follow ideas through different conversations. One of the best examples of this principle is Social Studio from Salesforce. It expands on demographic tracking to showcase how sentiment and opinion can travel along social networking topics. It’s also worth considering the impact of negative opinions. Marketing usually focuses on promoting positive opinions simply due to the fact that it’s a necessity when using non-interactive mediums. Social media sentiment analysis can actively react to negative comments about one’s brand. For example, someone might vent on Twitter about their problems with a defective item. Social media sentiment analysis would detect both the brand and the negative commentary. It could then alert a company representative that they need to step in and offer up some public assistance in order to turn that negative opinion into a positive one. It's been shown that these types of proactive responses can quickly counter any potential for negative sales. As modern technology keeps people connected to the internet it's increasingly vital for companies to protect their reputation. It’s clear that social media sentiment analysis will continue to grow. More efficient processors will allow for superior text analysis. And increased social networking options will provide more data. 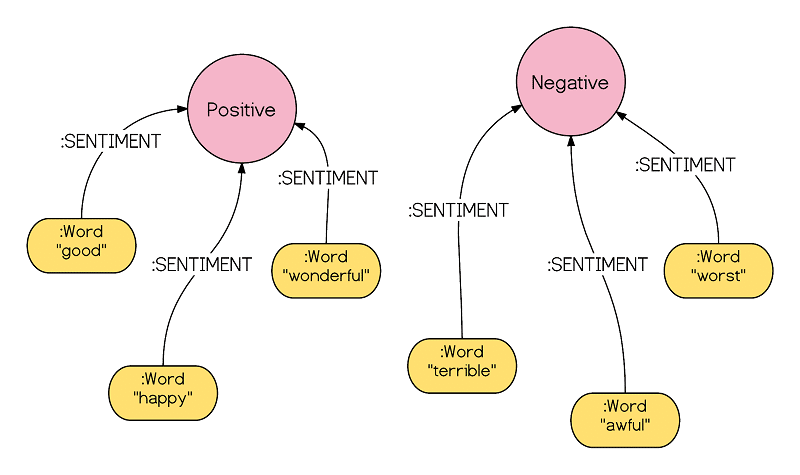 Getting started with sentiment analysis now means using a technique which will continue to improve over time. One should also remember that sentiment analysis is a tool. It’s something people should work with rather than expecting it to provide instant results. But when that’s done, the results can be quite impressive.